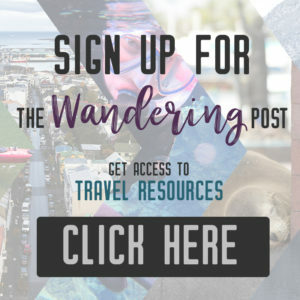 Are you an explorer? A foodie? Or how about a beach bum? 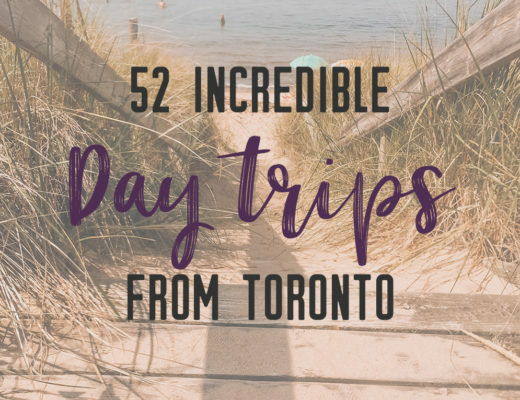 There’s something for everyone in this list of fantastic day trips from Toronto. Do you still love the urban experience, but want to get away from the big city? Then a day trip to Elora is in the cards for you. This little village is close to my heart as I grew up not too far from here. I love walking downtown, especially hitting up my favourite cafe in the Elora Mews. 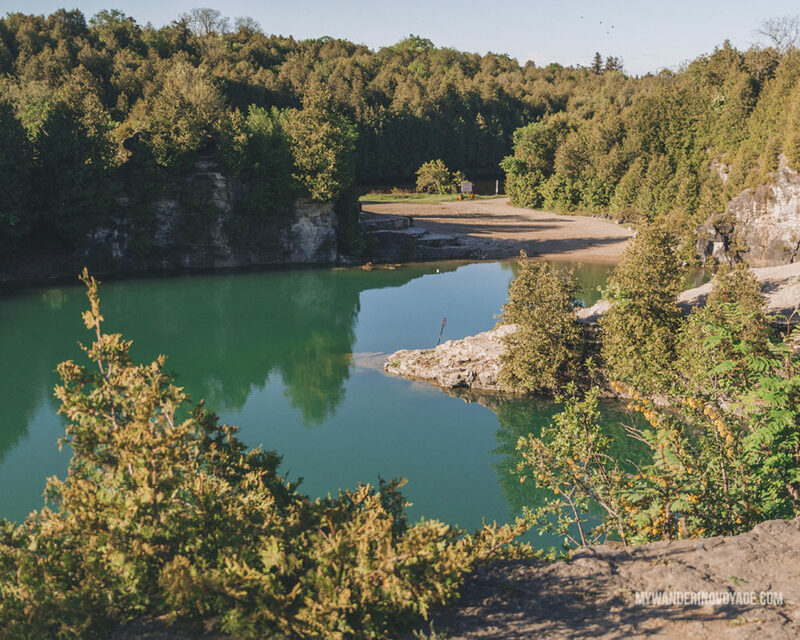 Elora is best known for the Elora Quarry, an old-quarry-turned-conservation-area swimming hole right on the banks of the Grand River. It gets pretty busy in the summer and with the new cap of 1,300 people, don’t be discouraged if you get turned away. There are many other options to fill up your day in Elora. Like Elora, Paris is a beautiful small-town experience. Situated further down the Grand River, Paris has become a small-town foodie capital. You can also pursue the downtown shops or check out the Paris Wincey Mills, a fun ultra-hip market, open Fridays and Saturdays year round. 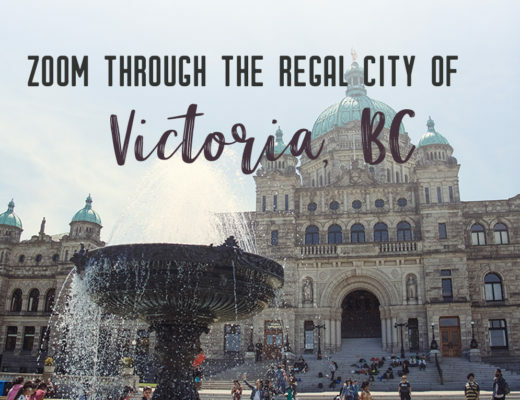 It’s known as the Prettiest Little Town in Canada, which is a pretty great accolade, so take a stroll around the lovely historic downtown and spend time finding the best views of the Nith and Grand Rivers. 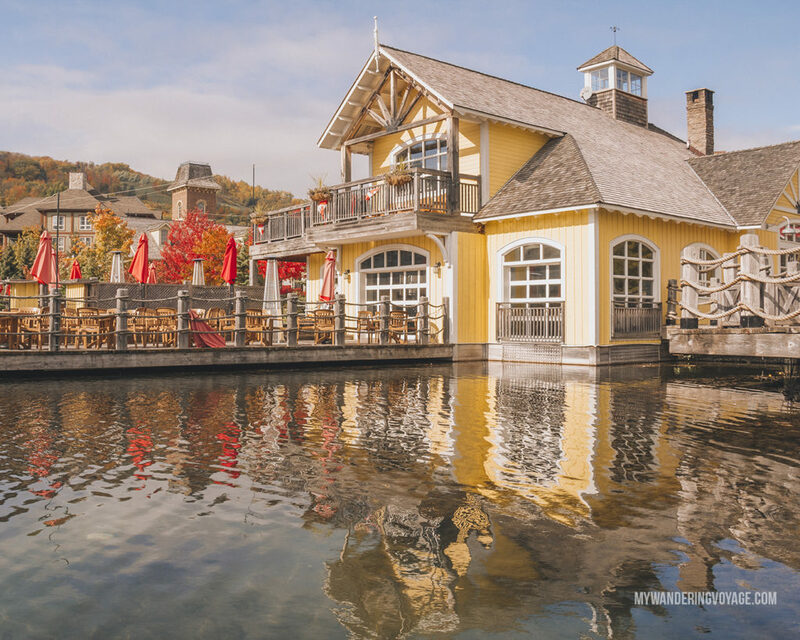 Located on the Niagara Escarpment where it meets Georgian Bay, Blue Mountain Village is a fun little resort town that offers adventure year round. In the winter, hit the slopes, or skate along a mountaintop skating trail. 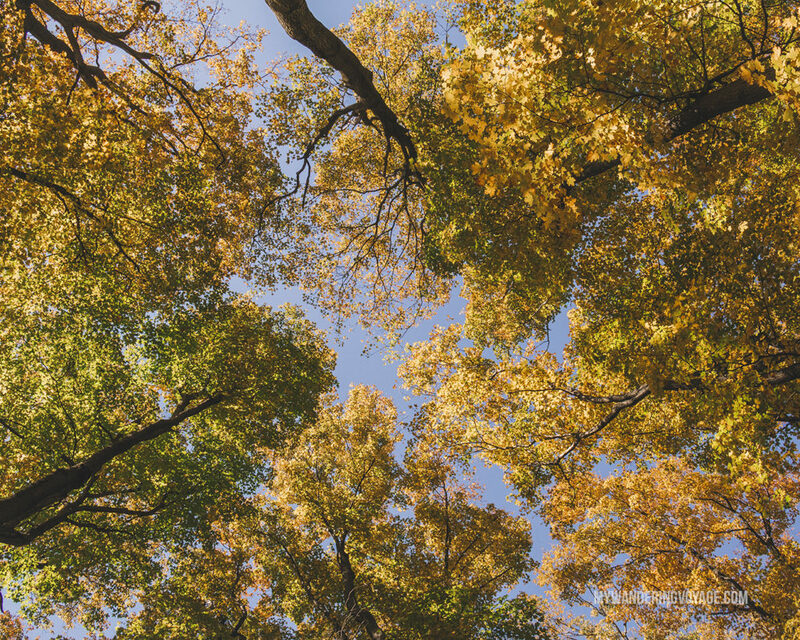 In the fall, be sure to explore the incredible kaleidoscope of colours of the trees. In the summer, Blue Mountain Village is home to an EPIC Canada Day celebration and several wicked music festivals, even, get this, an Elvis festival. Shop and dine at one of the many places within this tiny pedestrian-only village. You can’t leave without stopping at a few places on the Apple Pie Trail! If you’re escaping the city for some relaxation, then look no further than Scandinave Spa Blue Mountain. This beautiful oasis is situated in the middle of a forest on the Niagara Escarpment and is one of the most unique spas in Ontario. They hold the Scandinavian traditions of hot-cold-relax with warm saunas, cold plunges and a relaxing solarium. Immerse yourself into the healing waters of the spa and surrounding nature and let go. Packages start at just $65. Have you gone through the #Ptbo #LiftLock before? The Liftlock & Riverboat Cruise is a great way to experience the World’s Highest Hydraulic Lift Lock! Great capture @tylerkwills ! Peterborough is a small city where urban collides with nature most wondrously. The Otonabee River cuts right through it, but what Peterborough is most known for is its Trent-Severn Waterway locks, a national historic site. Peterborough also has a thriving arts and culture scene as well as an incredible amount of dining options. 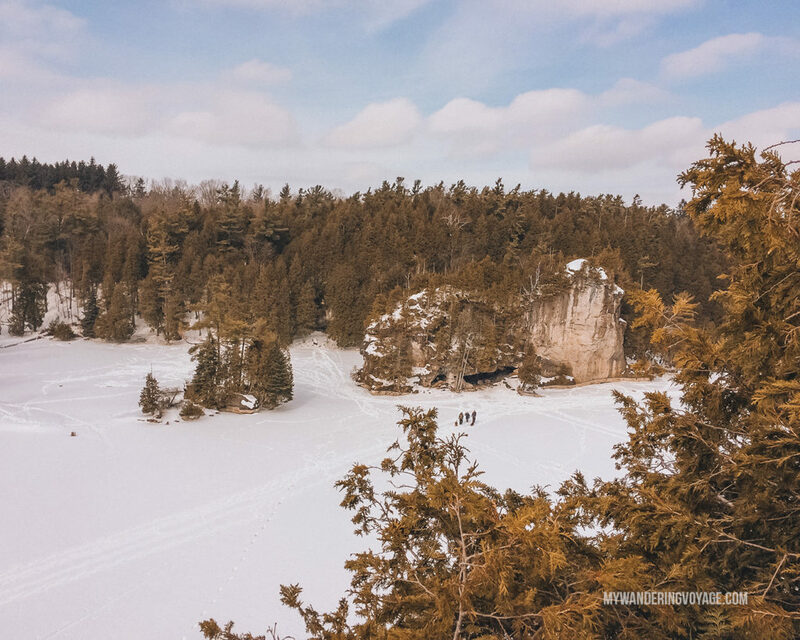 The city is just steps from the wild outdoors, so if you’re into hiking, kayaking, skiing and more, you’ll find something to do in this beautiful Ontario town. 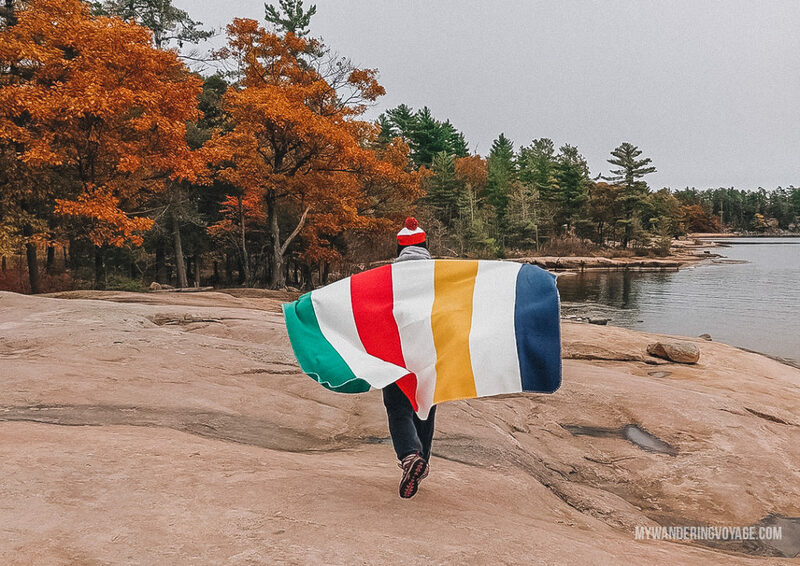 Called the Hamptons of Ontario, there’s no doubt that the District of Muskoka is one beautiful place to escape to. 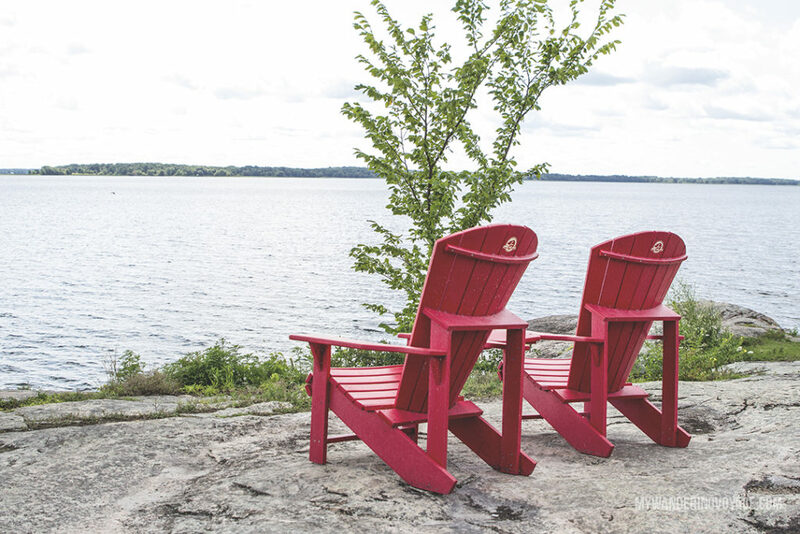 This is Ontario’s cottage country, so relax on a dock and soak in the warm summer sun or curl up next to a campfire. 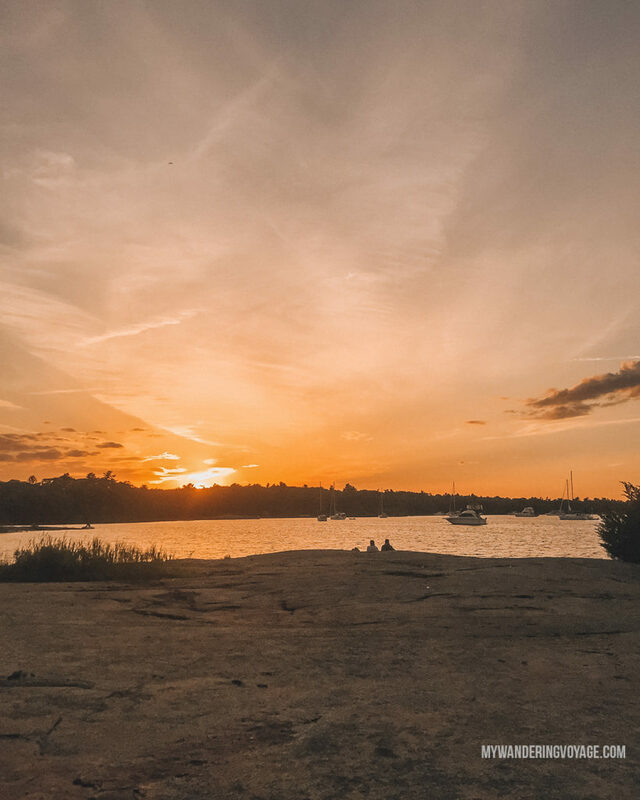 While you’re here, you have to take a cruise on the picturesque lakes, paddle along some of the most scenic waterways, dig into incredible food and, lastly, take in the sunset at the most beautiful place in Ontario. Every time I hear a non-Canadian wanting to go to Niagara Falls, it surprises me, maybe because I live so close to this natural wonder and have visited several times growing up on school trips. But it truly is a marvel. Best viewed from the Canadian side of the river, Niagara Falls is an incredible bucket list moment. You get to experience the power of water as it hurdles off the 51-metre cliff. Why not get up close and personal with the Falls with a Maid of the Mist boat tour. Niagara Falls also offers an out-of-this-world experience on Clifton Hill. It is something completely unique to the area. 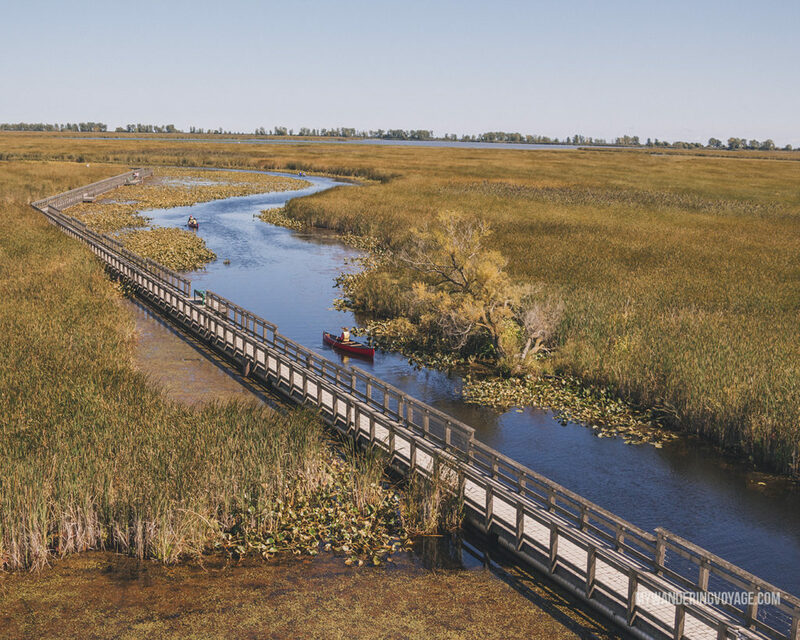 Visit the southernmost point of mainland Canada at Point Pelee National Park. This park juts down into Lake Erie and is one of Canada’s most ecologically diverse parks. Thousands of birds flock here on their migratory routes. You can paddle in the marshlands, walk along the boardwalk, or stroll along a 20-kilometre beach. You can walk to the very tip and stand at the southernmost point. But did you know the tip is always moving? The shoreline shifts and alters its shape with the constant berating of waves and storms. Something about a hot air balloon ride feels nostalgic. I mean, it just screams the 90s – early 2000s to me. 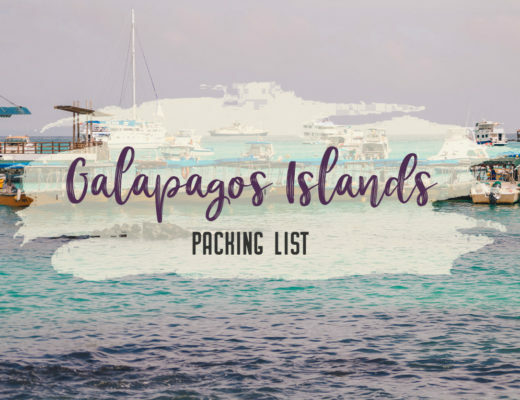 But taking one of these once-in-a-lifetime trips is on my bucket list. How about you? There are so many places where you can get sky high on a hot air balloon. Probably the most well-known is Sundance Balloons in Belmont. There’s also Skyward Balloons in Cambridge, Cloud Chasers in Stratford, and Air Display in Barrie. 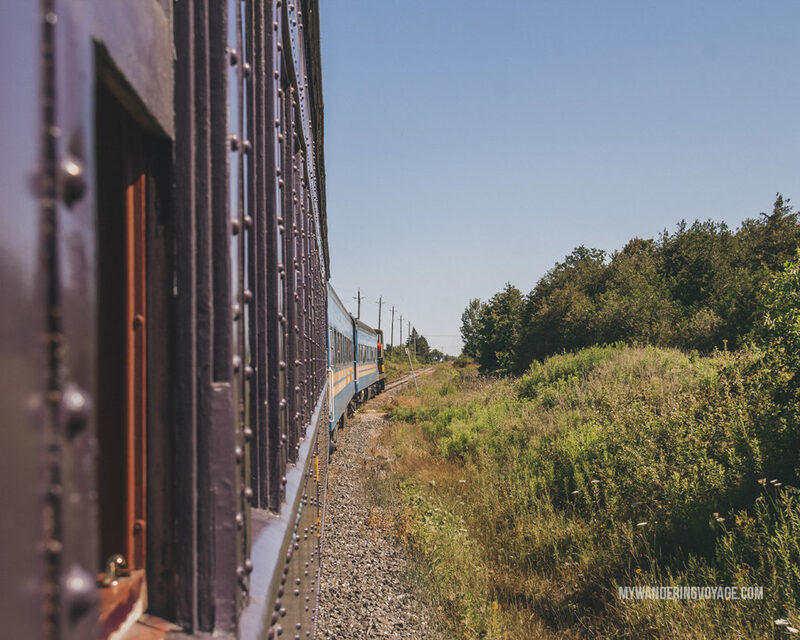 All aboard this historic passenger train journey through St. Jacobs and Waterloo Region. Waterloo Central Railway runs regularly-scheduled day diesel train trips and specially-scheduled steam locomotive train trips on long weekends. You can feel like you’ve hopped on board and travelled back in time or that you’re on your way to Hogwarts, whatever makes you happier. The trip takes you from the station in St. Jacobs to Elmira and through the lovely countryside. They even have awesome themed train rides like Great Train Robbery, Christmas in July, Magical Wizards Festival train and the Polar Express train ride. I crossed off a bucket list item by going to Scenic Caves Nature Adventures. I had wanted to go for ages, and I finally decided, what the heck, let’s go! It did not disappoint. 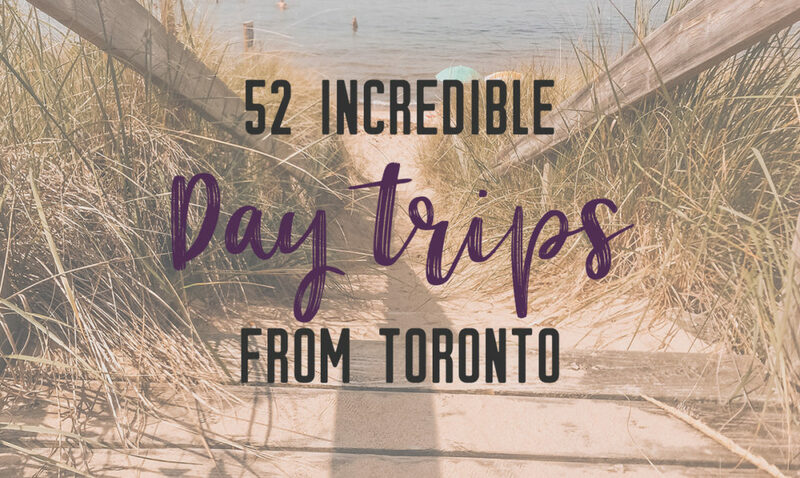 You can spend the whole day there, by exploring the caves, taking in the view from the Suspension Bridge, trekking in the treetops and riding on the longest twin zip line in Ontario. If you enjoyed the suspension bridge at Scenic Caves, then you’re going to want to check out this one at Ferris Provincial Park near Campbellford. Take the beautiful bridge across the Trent River Gorge or hike on the 10 kilometres of trails within the park. If you decide to extend your day trip, you can stay over at one of the dozens of campsites. Make sure to stop at the Toonie Monument in Campbellford on your road trip! Who doesn’t love giant objects?! The Grand River is one of Ontario’s most important waterways, so why not experience it in the water. There are several places you can rent a paddleboard, canoe or kayak and take a beautiful trip down the calm river. Why not try the 3 hour trip from Paris to Brant Conservation Park with Grand River Rafting? 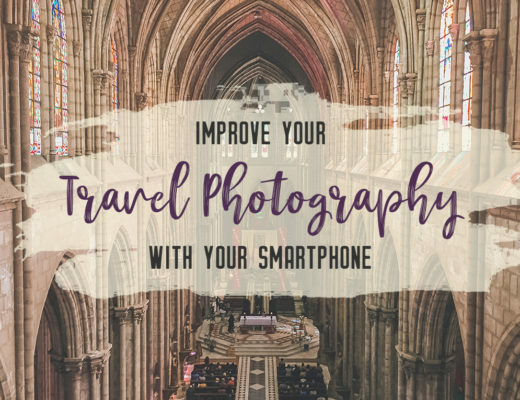 It’s great for beginners, and you’ll be able to see nature in a completely different way. Located in the heart of Ontario, near Hamilton, the Royal Botanical Gardens is a great place for a trip year round. It is the largest botanical garden in Canada, with nearly 2,500 acres of land that they protect. In the spring and summer, the place is abloom with flowers. In the winter, you can hike the trails that weave around the property. Check out the arboretum, home to a wide variety of trees. Or explore the new Rock Garden or Laking Garden. Don’t forget to stop at the nature interpretive centre and RBG centre to see year-round exhibits. After being closed for years, the Cheltenham Badlands have finally re-opened to the public. This geological feature reminds me so much of the badlands in Alberta; it’s easy to see why it’s called the Ontario Badlands. There are a couple of ways to access Cheltenham Badlands, one is by parking in the new lot ($10) and exploring the trails. 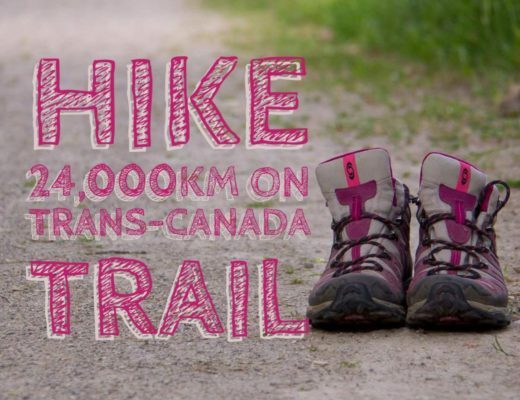 The other is to hike in on the Bruce Trail. As someone who loves nature and wanted to protect it for future generations, I am going to repeat the plea from Credit Valley Conservation Authority: Please stay off the landscape feature. Visitors must remain on the accessible boardwalk and trails at all times to reduce damage and erosion of the historic feature. Be kind to the Badlands. You must use marked trails or the sidewalk along Olde Base Line Road to access the site. Thousand Islands National Park in Southeastern Ontario is the most picturesque setting for a day trip. Parks Canada has about 20 islands in this region of the St. Lawrence River, which are only accessible by boat. However, they do have three mainland sites to explore as well. Why not rent a canoe or kayak and island hop in a guided or non-guided trip around this amazing biosphere. Arguably, the closest day trip from Toronto, Scarborough Bluffs are just waiting for you. With their towering white cliffs and sandy beaches, Scarborough Bluffs makes for an easy-to-get-to day trip. There are nine parks in total along this stretch of Lake Ontario. The cliffs reach 90 metres from the lake and can be a dramatic backdrop at sunrise and sunset. Just be careful and stay away from the edge! Safety is the number one concern here. Explore the Canadian Shield in this fantastic boat-only access National Park. Take the day-tripper ferry to the island or hire a water taxi from the nearby marina to take you Beausoleil Island, the largest island within Georgian Bay Islands National Park. Once you’re there, you can hike the entire island, go swimming or lazy about on the wind-smooth rocks that are iconic to Ontario. 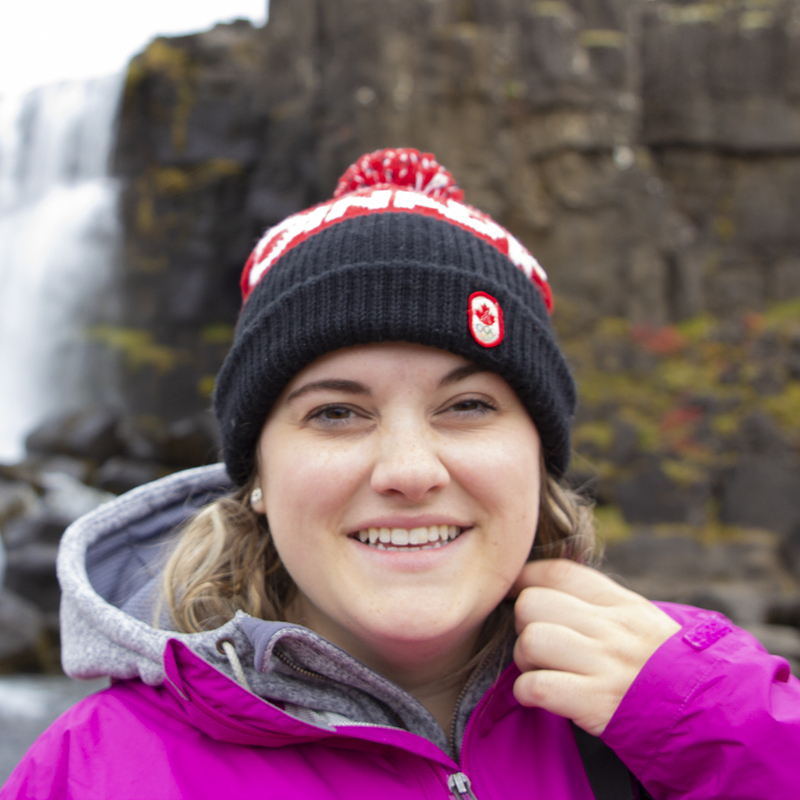 If you want to extend your stay, you can camp at the campground at the southern point of the island or try your hand at backcountry camping at several locations around the park. Killbear Provincial Park blew me away the first time I visited. The stunning fall colours coupled with the incredible landscape made for a wonderful trip. Killbear is located on Georgian Bay, where the Canadian Shield is abundant. You can hike the several scenic loop trails or rent a canoe to explore the park by water. Don’t forget to bring your camera, because you won’t want to forget how beautiful this park is. You can’t leave without seeing the iconic windswept pine tree, which is probably the most famous tree in Ontario. Right in the heart of Rockwood, stands a geological marvel at the Rockwood Conservation Area. Here, you’ll find a unique natural environment full of caves, bluffs and holes. You can rent a kayak or canoe and paddle the Eramosa River that runs through it. You can explore the ruins of Harris Woolen Mill, which is a lovely spot to take photos. And bring your walking shoes, because there are numerous trails for you to explore. 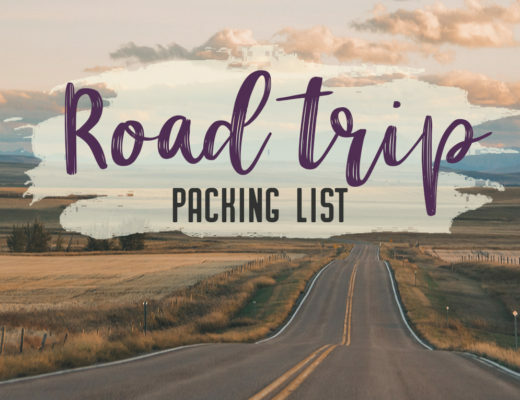 Getting to national and provincial parks in Ontario can be difficult if you don’t own a car, that’s why you can take the Parkbus and save yourself the headache. The Parkbus connects city dwellers to the beautiful natural parks in Ontario. The bus connects Toronto with Algonquin Provincial Park, Bruce Peninsula National Park, Killbear Provincial Park, Killarney Provincial Park, Grundy Lake Provincial Park, Georgian Bay Islands National Park, Elora Gorge Conservation Area, Christie Lake Conservation Area, Rockwood Conservation Area, Rattlesnake Point Conservation Area, Kelso Conservation Area and Rouge National Urban Park. I have to let you in on a secret. I have been to many beaches around the world, all of them wonderful in their own way. But Craigleith Provincial Park will always have my heart. There’s no sand, it’s not very busy, and it has cool refreshing water and waves to delight anyone. Hands down, this place is perfect. 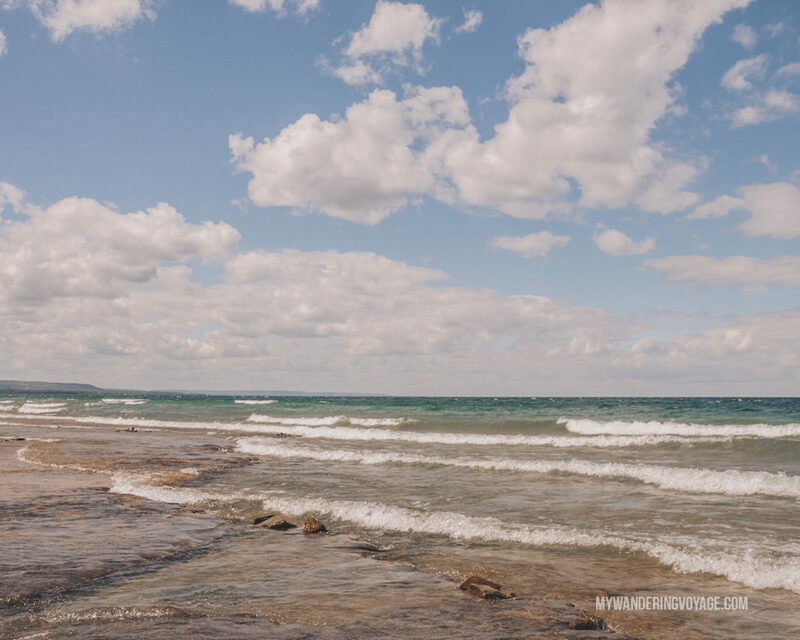 So the secret’s out, and if you’re into a beach with no sand, then a day trip to Craigleith Provincial Park is in order. For those who want water and sand, then the Pinery Provincial Park south of Goderich is the day trip for you. The Pinery Provincial Park is located on Lake Huron’s shore, which has kilometres of soft white sand. The Pinery protects important sand dunes that line the shore, a wonderful habitat for birds and mammals. 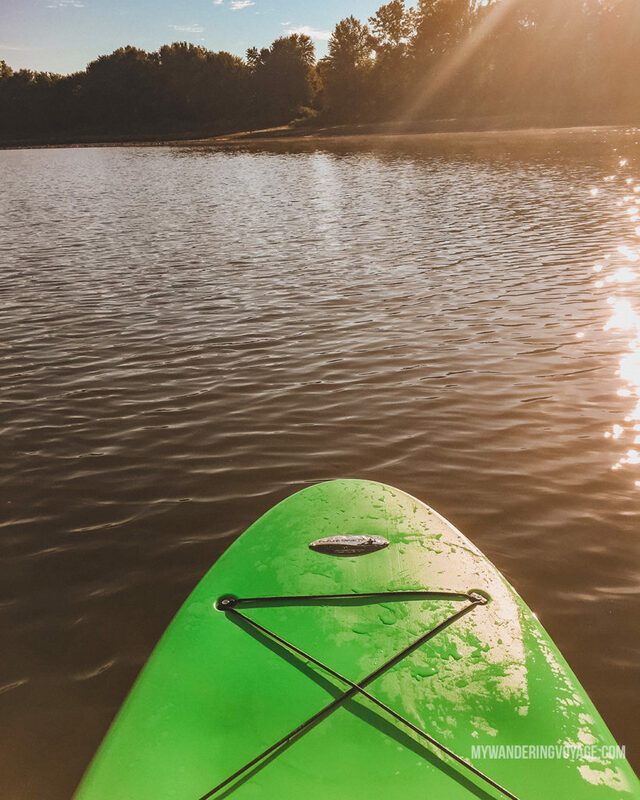 You can rent a canoe, hydro bike, paddleboat or kayak to explore the Old Ausable Channel – a provincially significant wetland. While you’re here, make sure to stay for sunset over Lake Huron. Palm trees in Ontario? You bet! Right here in Port Dover, a beach town on Lake Erie. Set up your beach umbrella and relax on the soft sand. You can also take a stroll along the scenic pier. Or rent a boat and relax on the water. Then head into town and find yourself something delicious to eat! Wasaga Beach, located on the southern shores of Georgian Bay, is one of Ontario’s most popular summer destinations. Here, you’ll find the longest freshwater beach in the world stretching 14 kilometres. Sitting on the massive beach, it feels like you’re on a Caribbean Island, not in Southwestern Ontario, until you get in the water that is since it’s so much chillier than the Caribbean. Make sure to check out the beach-side town and fill up on delicious ice cream! Sauble Beach is another beautiful sandy beach in Ontario, located along the shores of Lake Huron. It takes the cake as the second largest freshwater beach in the world at 11 kilometres long. But it’s definitely not second best in other ways. The town has a vintage feel to it, something they are very proud of. And every year they host Sandfest, a summer party on the beach with an incredible sand castle making contest. Looking for more sandcastles? Then look no further than Coburg Beach in Coburg. This sandy slice of heaven is located on the shores of Lake Ontario. Here they put on a lovely Coburg Waterfront Festival and a Sandcastle Festival for all your sand castle-building dreams. Make sure to wander around town and grab a bite to eat at one of the many awesome eateries! 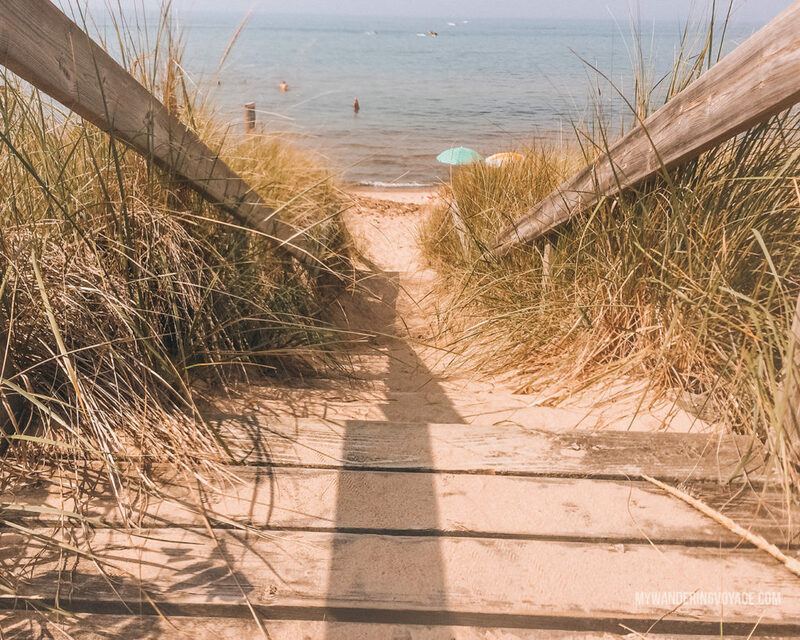 Located on the shores of Lake Huron, Grand Bend Beach is the perfect place for any beach bum. Not only is the sand soft and warm, but the sunsets they get are incredible. Like Coburg and Wasaga beaches, Grand Bend also boasts a Blue Flag designation, meaning there are high standards in place for water quality, environmental management, environmental education and safety. Definitly a place to support sustainable environmental practices. 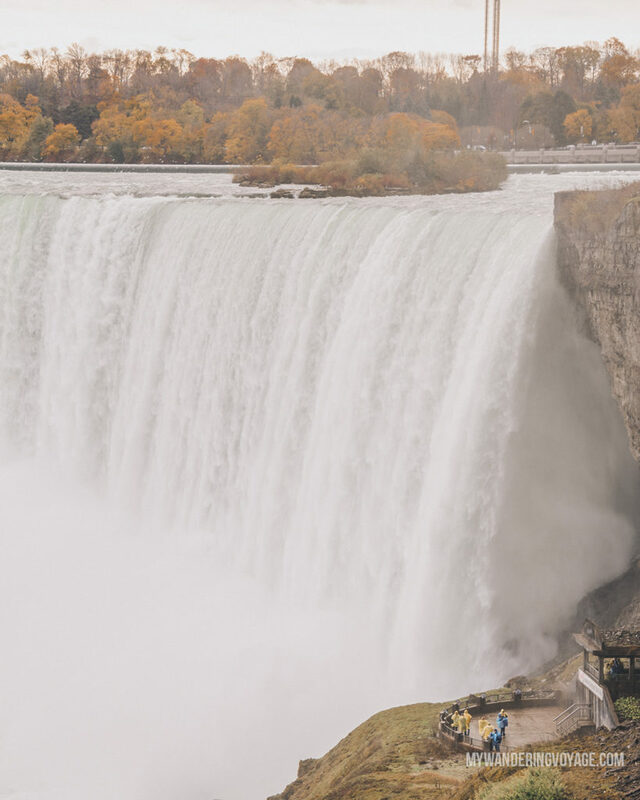 Cutting through the heart of Ontario is the Niagara Escarpment, a beautiful and ancient natural feature that gives us towering cliff faces and stunning waterfalls. Hamilton is known for the concentration of waterfalls within its borders. There are more than 100 waterfalls in the region, and most are accessible for viewing. Hamilton is the perfect day trip for anyone looking to get some great hiking in just minutes from the city. If you want to see all of the waterfalls, then jump onto the Bruce Trail as it hits almost all of them in the Hamilton area. But beware, it’s not an easy hike! If there’s one hike that you do all year, let it be to Dundas Peak in Spencer Gorge Conservation Area in Dundas. Take the Spencer Adventure Trail from Christie Lake to Crooks Hollow to Webster Falls. Then take the 1.3 kilometre trip from Tew Falls to the breathtaking Dundas Peak. You won’t be disappointed. Dundas Peak sits at the mouth of Spencer Gorge, which means you’ll get a bird’s eye view of Hamilton, and Dundas. 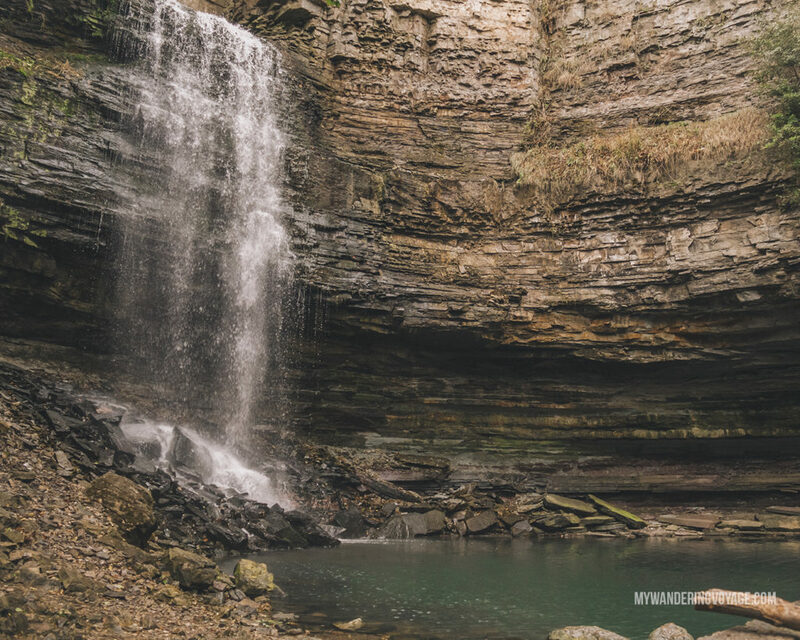 While you’re headed to the pinnacle of this hike, make sure to stop at Tew Falls and Webster Falls for some epic waterfalls. Rattlesnake Point Conservation Area is so close to the GTA you can taste it. You’ll follow along the Niagara escarpment overlooking the valley below. Rattlesnake Point is located just west of Milton, so there’s no excuse not to visit! Three trails totalling 13 kilometres of hiking are within the park. You’ll want to take the Vista Adventure trail to see those amazing views! We’ve decorated the place at Kelso for tomorrow’s Hops and Harvest festival. 😉🍂🍂🍂🍂🍂 Can’t wait to see you all there to sample craft brews and fall fare! With over 16 kilometres of trails within Kelso Conservation Area, you’re not going to want to pass up this incredible place. This conservation area is located just west of Milton. Here you can hike, bike, or paddle. Then, once you’re done hiking, you can always jump in the reservoir to cool down. 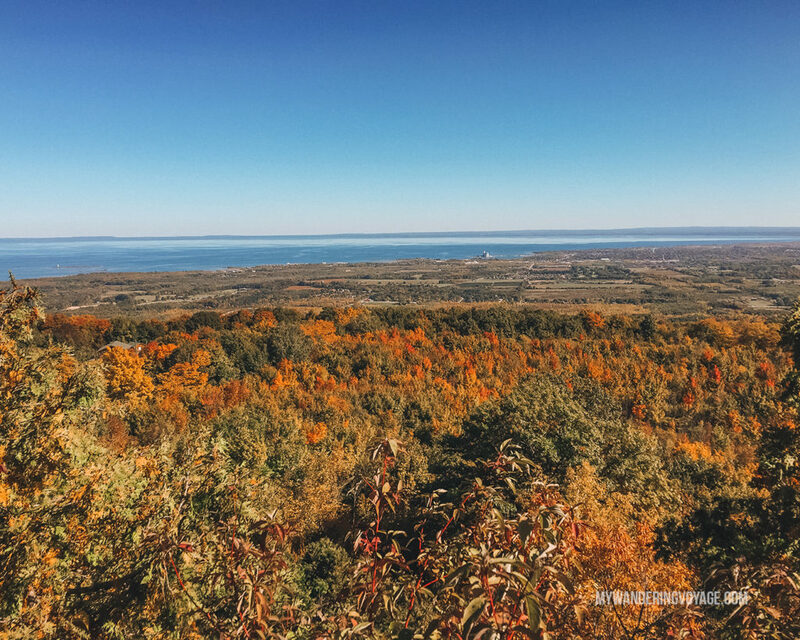 Make sure to take the 3.5km Eagle Loop for those amazing escarpment views. 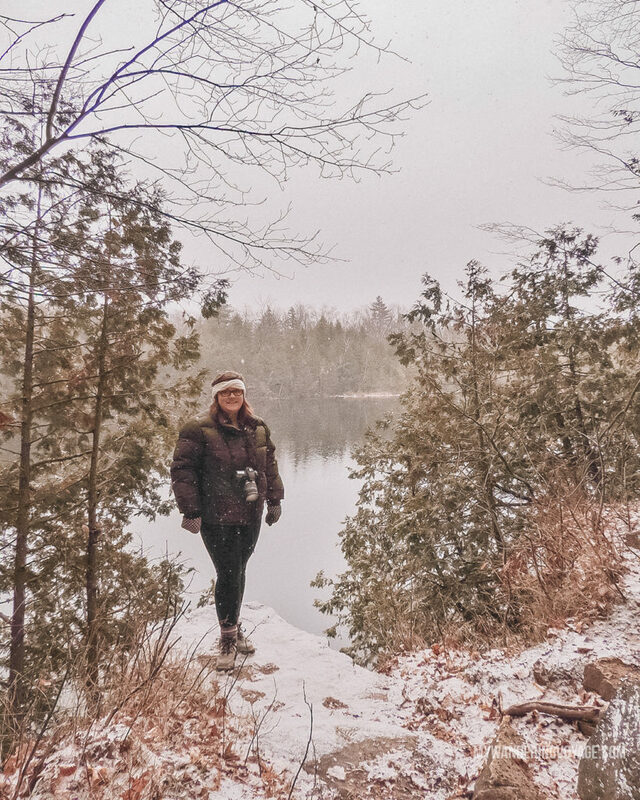 For the longest time, Crawford Lake at Crawford Lake Conservation Area freaked me out. It had to do with a school trip when I was very young where the park staff told us how the lake is so deep that the bottom layer of the lake does not mix and preserves things. It’s called a meromictic lake. But a certain story of a logging accident had me dreaming of black horses with red eyes for years. I visited again when I was much older, and the lake is absolutely beautiful. It has a really easy 1.4 km loop trail to take you around the lake, but the park has nearly 19 kilometres of trails in total. Forks of the Credit Provincial Park is another stunning park located along the Niagara Escarpment. The Credit River cuts through the park where you’ll also find beautiful mill ruins, waterfalls and a kettle lake. In the fall, the colours explode to brilliant shades of yellow, orange and red. It’s definitely something you have to see for yourself. You may know Thornbury’s neighbour: Blue Mountains, but Thornbury takes the apple pie for my favourite place to visit in the fall. In the fall, the harvest is bountiful, and the apple orchards are ripe for apple picking. But those apples get turned into my favourite booze: cider. 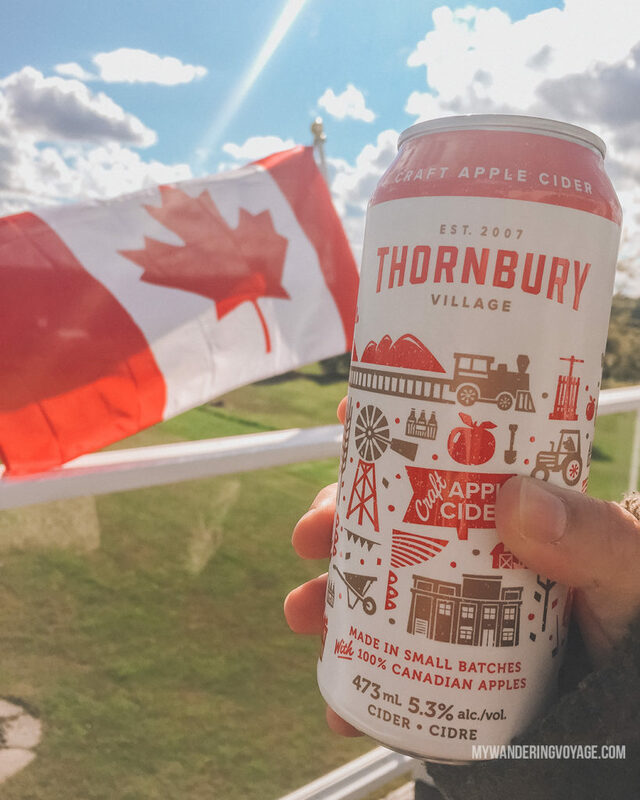 Check out Thornbury Village Cider, which is right in the heart of one of my favourite towns, Thornbury. Their cider is delicious, not too sweet and is perfect for a summer’s day. They even have a tasting room where you can sample all their craft flavours. Then you should go for a walk in the plentiful orchards and pick your own apples! The Niagara region is known around the world for its tasty wine. Over 30 wineries call Niagara-on-the-Lake home, meaning there are lots for you to choose from. 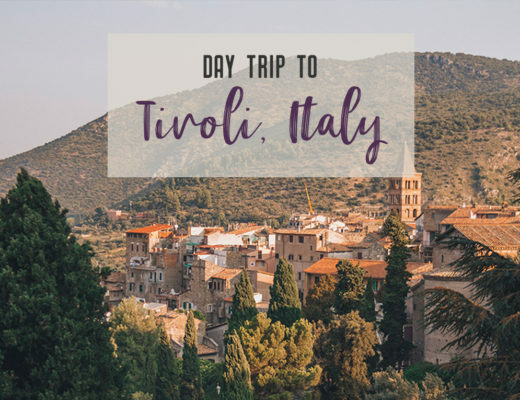 You can tour the vineyards for yourself or take a wine tour through the region. If you want to try something unique to Canada, enjoy a glass of ice wine, a very sweet wine made from grapes after the first frost. Absolutely Canadian! With all the delicious apple orchards in Ontario, is it any wonder that we have a great selection of cideries in this region? Spirit Tree Cidery is another superb addition to the craft. Located in Caledon, Spirit Tree is not only a place where they make excellent cider but also where you can dine on delicious meals or by incredible baked goods. You can also explore the property and pick your own apples here as well. Totally worth the day trip! Prince Edward County in Southeastern Ontario is also known for its amazing wine. More than 35 wineries call the craggy, rocky semi-island home. The harsh winters and the short growing season give these wines a blast of flavour that you’ll have to try for yourself. Take a self-guided wine tour or hop in a limo for a superb day trip. For such a small area, downtown Guelph boasts a high ratio of eateries. 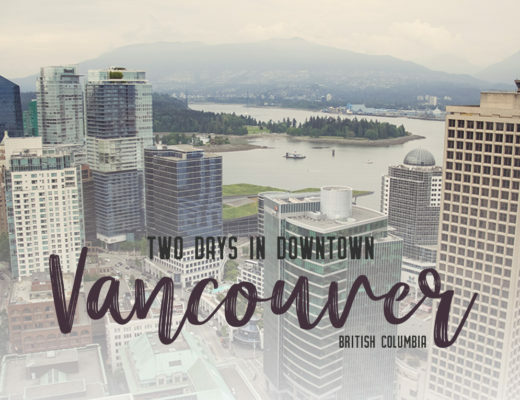 From Italian fine-dining to delicious Canadian cuisines, there is something for everyone in this smaller city. Everyone loves a good meal, so Guelph’s restaurants are great options for foodies. This is a two-part trip. Your first stop will be at Flowers to Fragrance Lavender farm in Minto. Frolic among the fields and work up an appetite. Your next stop is at Mapleton’s Organic Dairy Ice Cream Shop in Mapleton, just 15 minutes down the road. 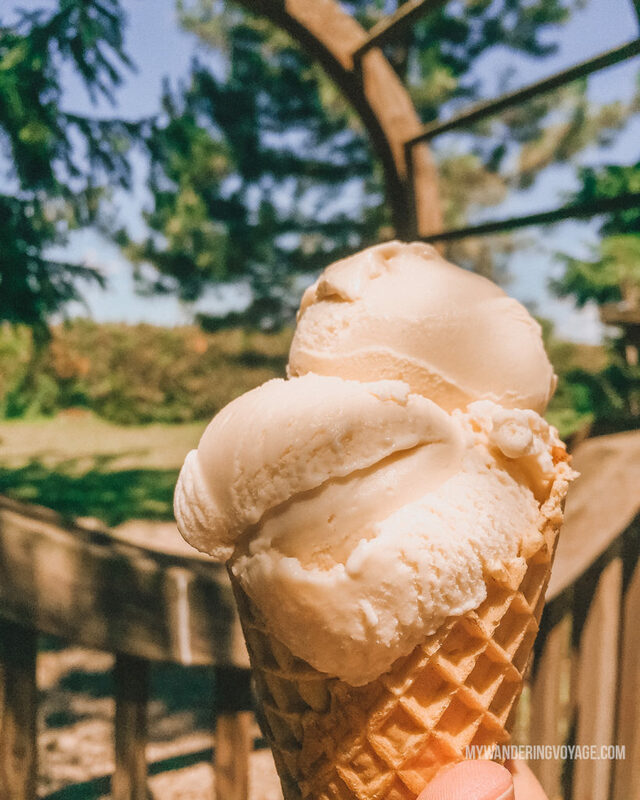 Here you can visit farm animals like cows, pigs, alpacas and more then head inside to taste the most delicious ice cream you could ever dream of. Try the classic flavours like vanilla, chocolate, raspberry and mint chocolate chip. 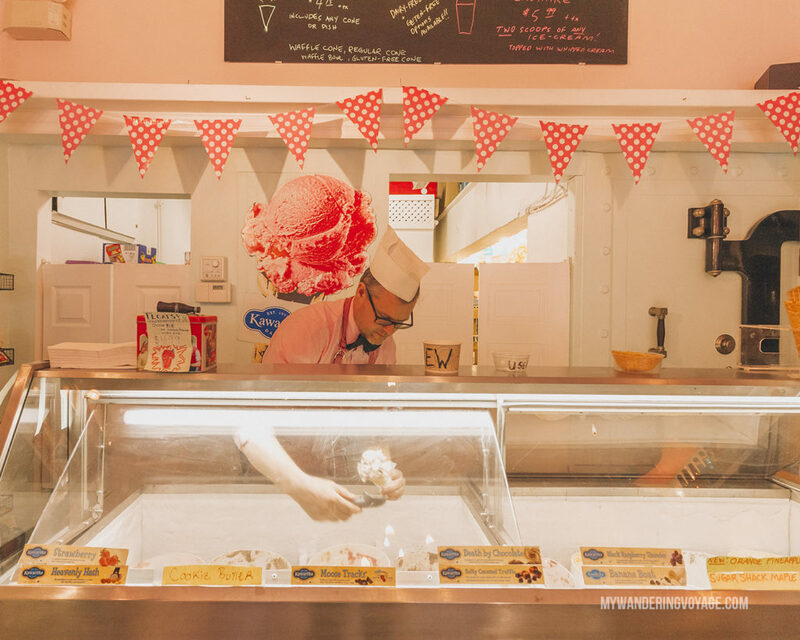 Then get a scoop of one of their original flavours like lavender, dandelion, pumpkin, ginger and maple sugar. From local produce to farm-raised meat to antiques and hand-made treasures, St. Jacobs Farmers’ Market in Waterloo Region is a great foodie destination. More than 300 merchants set up shop in the market district, which is the largest farmers’ market in Canada. Not only can you buy your groceries there, but you can also try delicious treats like homemade bread, fritters, perogies, sausages, cinnamon buns fresh lemonade and so much more. Located in a small rural town of Alton, the Alton Mill Arts Centre is a beautiful hub of culture in an old stone mill. Blending art studios with a gallery, shop, café and a museum in one, the Alton Mill is a great destination for art lovers. Situated right on Shaw’s Creek, you’ll even see how the gallery blended art and nature on its grounds. 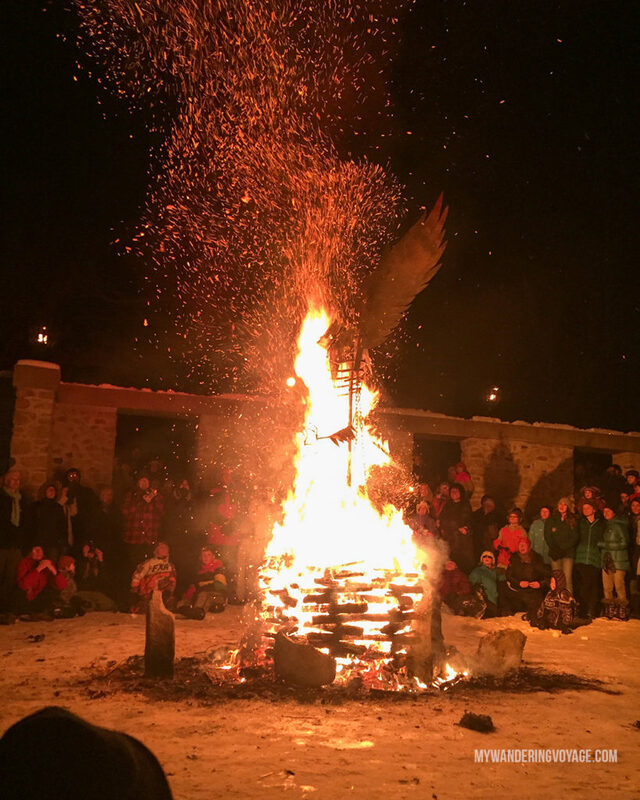 Every year, they host the fire and ice festival, a totally rad winter festival that combines all the things we love about winter (skating, hockey, tobogganing, and ice sculptures) with fire. The festival ends with a blazing fire sculpture that is different every year. In the summer months, they host a wine and food festival along with painting and art classes throughout the year. The Woodland Cultural Centre is a museum, gallery and library all dedicated to Indigenous peoples of Six Nations of the Grand River Territory. 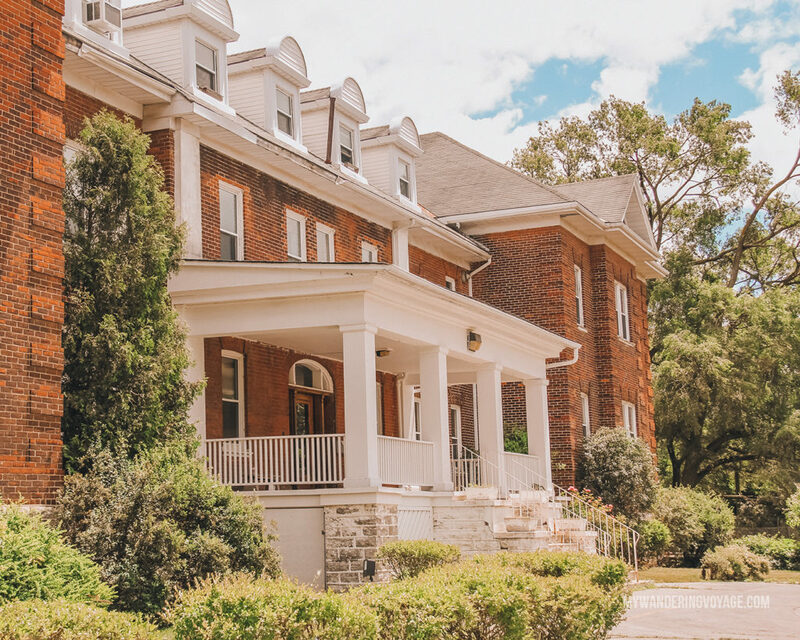 Before it was repurposed for better uses, the centre was the first residential school in Canada, a place that took children from parents to assimilate First Nations children into European society. After decades of abuse, it closed in the 1970s. Now the Six Nations use the building to preserve First Nations culture and language. It provides a sobering message about racism, acceptance and perseverance. It is such an important part of Ontario and is a must-see. Another important place to learn about First Nations history and culture is at Petroglyphs Provincial Park near Peterborough. It has the largest collection of First Nations petroglyphs – or rock carvings – in Canada. The site is sacred and protected from the elements. The carvings depict animals, humans and mythological creatures. 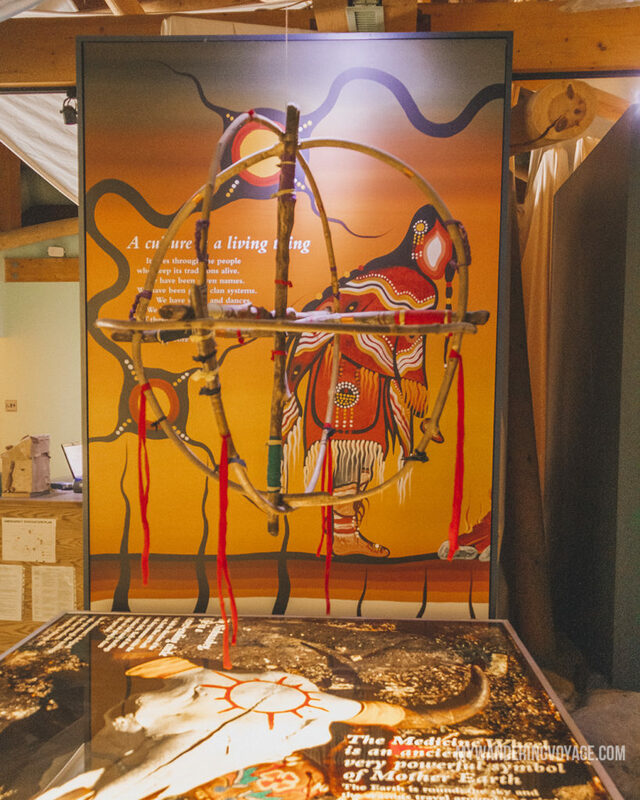 To learn more about the traditions of the Ojibway (Nishnaabe) people, visit the Learning Place Visitor Centre. The park is also home to the turquoise waters of McGinnis Lake another (terrifying) meromictic lake. You can hike around it and on other trails in the park. Kayanase is a greenhouse, ecological restoration and eco-tourism company located in Six Nations of the Grand River Territoy. They specialize in native species plants in their greenhouse and offer history and culture of the Haudenosaunee at their Longhouse project. You have to pre-book a tour, but it’s well worth it to find out more about Ontario’s original people. Any theatre buff has to travel to Stratford to see one of Shakespeare’s plays performed by one of the most talented group of theatre actors in Canada. From Othello to Romeo and Juliet, Hamlet and Macbeth, they have all been performed at the Stratford Festival. Once you’ve had a taste for the stage, you’ll want to hit the town for a delicious meal and famous Stratford chocolates. I love live theatre. It’s so fun to watch how music, lighting, sets, costumes and terrific acting all come together for a couple of hours to deliver a fantastic performance. One of my favourite theatre groups is Drayton Entertainment. 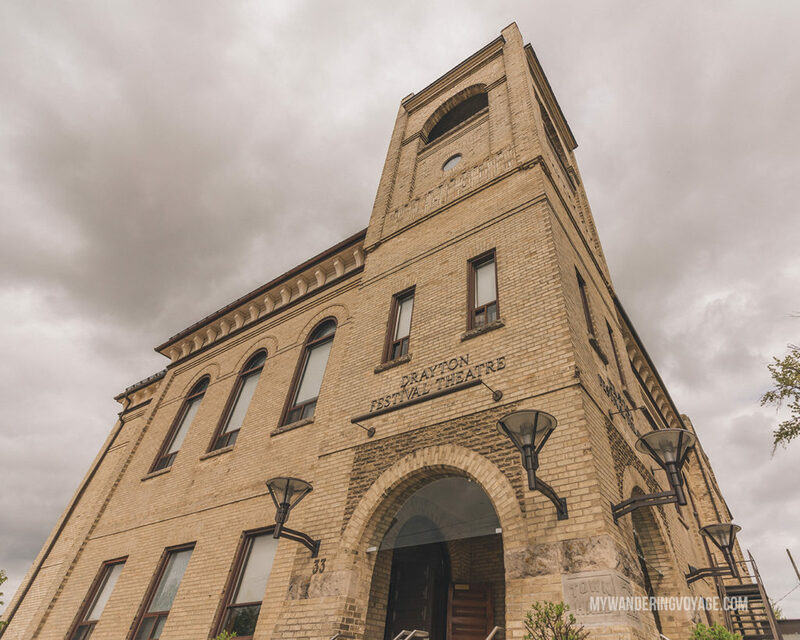 They have several theatres in Ontario, including the Hamilton Family Theatre in Cambridge, Drayton Festival Theatre in Drayton, St. Jacobs Playhouse in St Jacobs, Huron County Playhouse in Grand Bend, King’s Wharf Playhouse in Penetanguishene and more! I’ve seen some fantastic plays here such as Mamma Mia, The Little Mermaid, Beauty and the Beast, Aladdin: the Panto, Joseph and the Amazing Technicolor Dreamcoat and Hairspray. All have been top notch performances and worthy of any culture seeker! Ontario doesn’t have a lot of castles, definitely not as many as European countries, but we do have a few. Dundurn Castle in Hamilton is one of them. 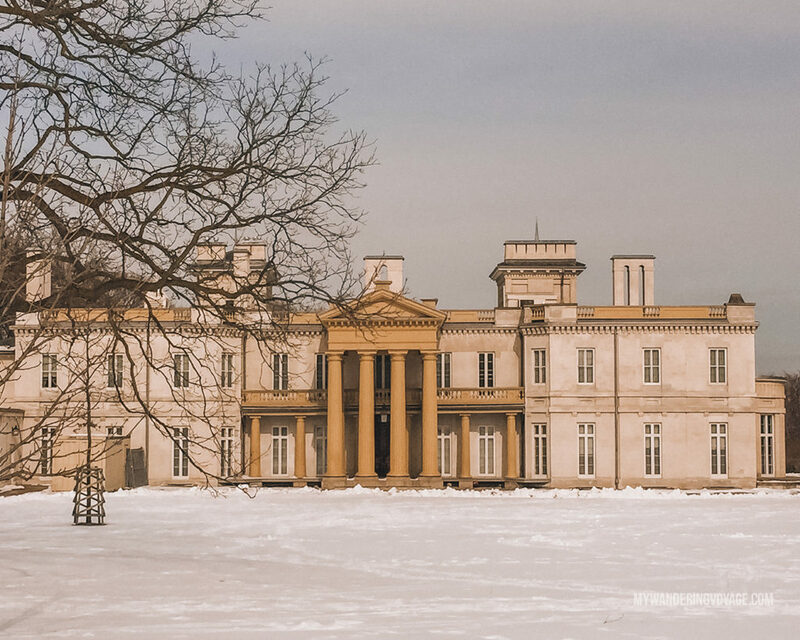 This 40-room neoclassical building was built in the 1830s and was home to Sir Allan Napier MacNab, who was Premier of the United Canadas from 1854 to 1856. Before that, it was the former site of a fortified military encampment established by the British in 1813. You can take a guided tour in the place and see how differently the upstairs lived from the downstairs in a rich story-focused tour. HMCS Haida is a naval destroyer that served in the Second World War, Korean War and the Cold War. The ship is now docked in Hamilton and gives you a glimpse at what is was like to be a crew member. Climb aboard and get a behind-the scenes guided tour of the ship and learn about what contributions it made to the war effort. The Canadian Warplane Heritage Museum is a non-profit organization that preserves and maintains a collection of airplanes that were flown by the Canadian military. The Museum now houses nearly fifty aircraft, along with an exhibit gallery. Get upclose and personal with aviation history where you can walk among the giant vessels that were used during wartime. You can even fly inside one of the heritage planes! How freaking cool is that?! If you’d rather stay on the ground, no worries, they have flight simulators where you can fly through virtual reality! I think train travel is so romantic, don’t you? Well, you can experience the romance yourself at Halton County Radial Railway museum in Milton. 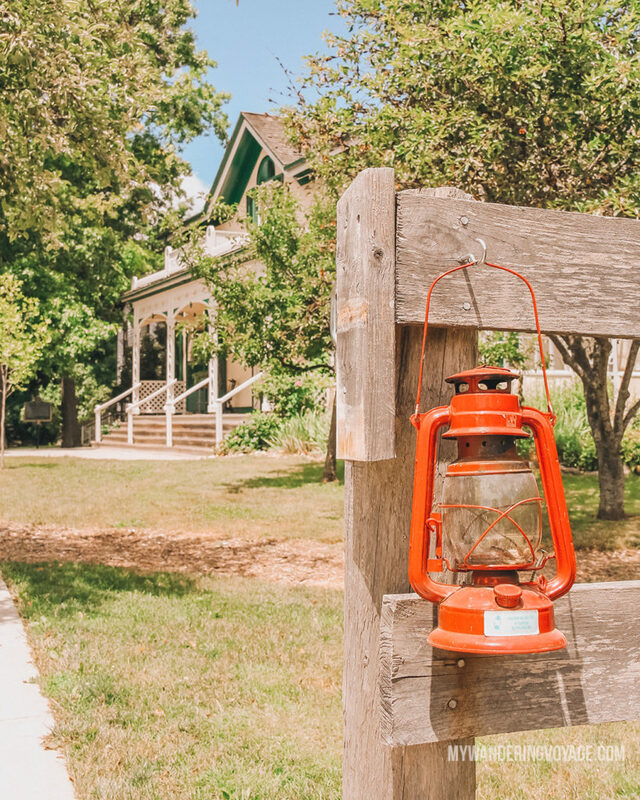 Admission includes unlimited historic streetcar rides on two kilometers of scenic track, which stops at a famous ice cream shop, access to the grounds, display barns and historic Rockwood Station. Did you know that Alexander Graham Bell, aka, inventor of the telephone, lived in Brantford? That’s right. We have Mr. Bell to thank for the best kind of communication device. His homestead in Brantford was where in 1874 he came up with the idea. Now, his home is a National Historic Site, where you can learn about Mr. Bell, the telephone and the history of the area. Watch for GHOST TOURS starting July 4. Expanded this year to 2 nights. Wednesday’s & Saturday’s. Discovery Harbour dates back to 1793, when Sir John Graves Simcoe saw Penetanguishene Bay as a strategic site for a naval base. Today, you can board replica ships H.M.S. Tecumseth and H.M.S. Bee. As they were used during the protection of Canada during the time of the War of 1812. Make sure to stop in at the H.M.S. Tecumseth Centre. The interactive centre offers visitors a look at the original 1815 hull of H.M.S. Tecumseth, which was pulled from Penetanguishene Bay in 1953. 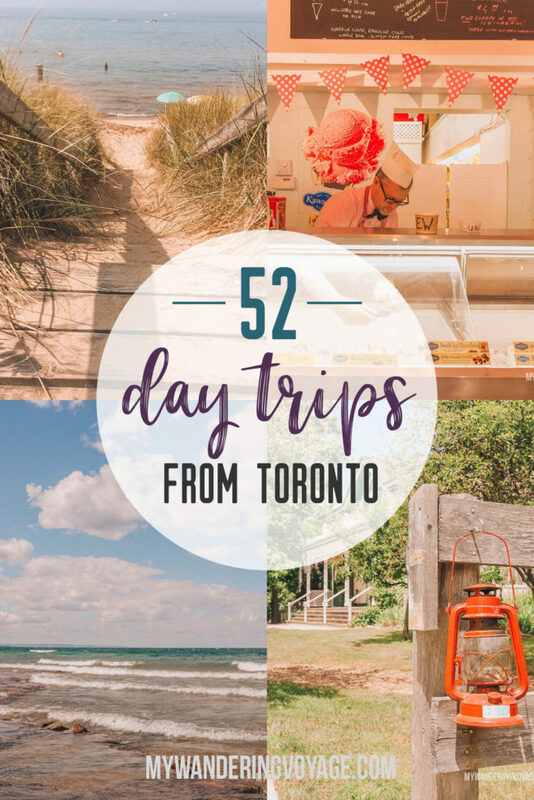 Whether you’re a foodie, a nature lover, a history buff or a wino, Ontario has a day trip from Toronto for you. 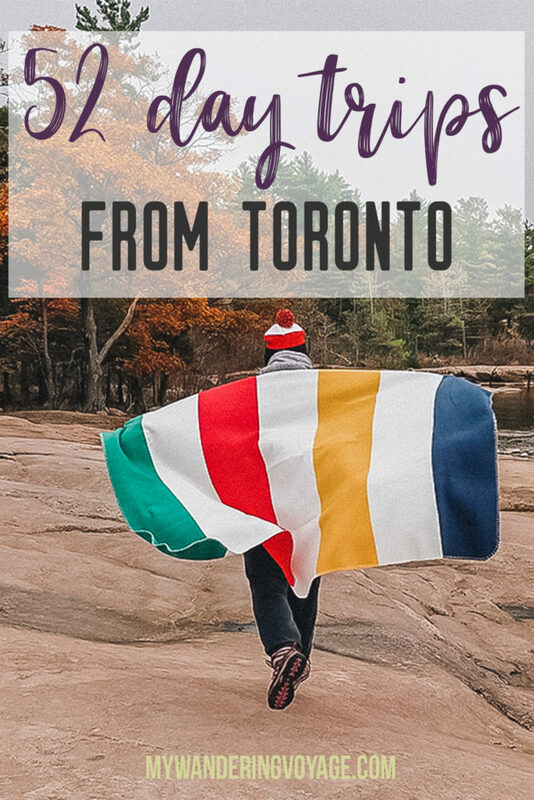 Find the best places to visit in Ontario for a day trip from Toronto.